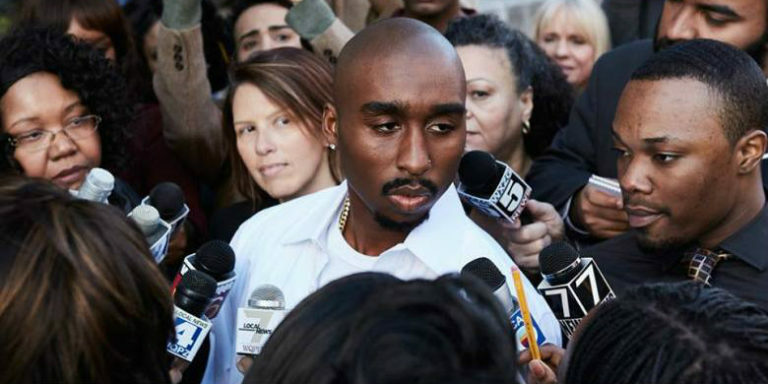 A new film, “All Eyez On Me,” about the life of hip hop icon Tupac Shakur, deals with the intersection of music and civil rights. The film chronicles Tupac’s life, from an arrest for jaywalking to the way he deflects another man’s hate. “To me, the movie is also a message to the African-American community today, reminding us that we have yet to earn true freedom.” Read more at Richmond Pulse. This entry was posted on July 25, 2017 by Manager in Print, Richmond Pulse and tagged civil rights, Hip-hop, Music, Tupac Shakur.